The Big-G Stealth Extractor by Trusted Proxies enables you to send up to 600 Queries per Minute to Google, Yahoo or Facebook – without being blocked or detected. Use the Big-G Stealth Extractor to run your favorite SEO software and get Google rankings 600+ times faster than normal. Typical SEO software can only send 1 to 2 Queries Per Minute (QPM) to search engines without getting banned. To go faster you would otherwise need to use multiple proxy servers in parallel. And if you need to really fast, you need even more servers, leading to mounting costs. Say goodbye to “Search Engine Friendly” mode and painstaking keyword ranking reports. The Big-G Stealth Extractor makes it easy—and cost-effective—to upgrade your SEO efforts. 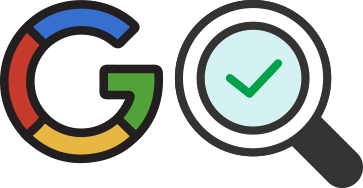 Now you can connect your favorite SEO software to Trusted Proxies' Big-G Stealth Extractor, to send queries to Google, Yahoo and Facebook (and Bing by special request) at up to 600 queries per minute, which is more than 600 times faster than typical “Search Engine Friendly” mode. As a result, a modest report of 200 keywords that used to take >6 hours now updates in 1 minute! The Big-G Stealth Extractor is powerful enough to satisfy developers, but simple enough for any SEO professional to use. Simply connect your SEO software and get started—no technical knowledge or outside assistance required. Pricing for the Big-G Stealth Extractor starts at just $30 per month, and can be billed on a fixed price plan or a pay-as-you-go plan. 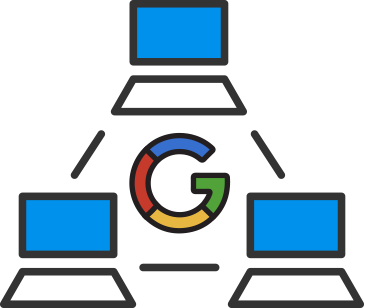 Request a Free Trial to evaluate the effectiveness of the Big-G Stealth Extractor for your SEO and web scraping requirements. How do I get my SEO software to use it? Tell your SEO software to use a proxy server and enter the settings we send you in your welcome email. If your software doesn't have these settings, set it in your internet browser instead, and your operating system then tells your software to use the Big-G Stealth Extractor that way. Is the Big-G Stealth Extractor a proxy server? The Big-G Stealth Extractor is NOT a traditional proxy server. Instead, using our vast experience with massive proxy server infrastructure and web scraping tools, we created a super-optimized “Proxy Server As A Service”. In order to make it easy for anyone to use, we designed it so you use the "proxy server" settings in your software, because virtually all SEO software has these settings (and those that don't can achieve the same result by configuring their internet browser). This eliminates the need for costly or complicated integrations. How fast can I really send my queries? The Big-G Stealth Extractor is designed to accept 1000 QPM. However, you may not always be able to achieve these speeds due to limitations of your software,computer, or network. For example, if your software has been designed to send a few queries per minute, it may not be able to handle sending, processing, and logging so many queries. Getting a new, up-to-date computer with more memory and a faster unfragmented disk could help. With popular SEO Software like AWR, we have benchmarked it on some PC's updating at 350 QPM, and have other clients with custom software running at 600 QPM without problem. Which country domains are supported? Most country domains are supported. Contact Trusted Proxies if you have questions about support for a specific country domain. Which countries is it available in? We have Big-G Stealth Extractors located in the USA, UK, and Germany. We also have a Beta Big-G Stealth Extractor in Australia and France. Several other countries available by special arrangement. Ask us about the country you're interested in. What happens if I try to surf the web with it as if it were a proxy server? As The Big-G Stealth Extractor is not a traditional proxy server, you will get error messages if you try to use it as a proxy server. The "proxy server" settings are just there as a low-cost and easy way to get you connected quickly. Can it handle huge updates, e.g. millions of queries? Yes. Pricing for the Big-G Stealth Extractor works on a metered principle, with prices assigned based on expected monthly use. Default plans are suitable for small- to medium-sized agencies sending up to 1 million queries per month. or large agencies and software companies, we recommend requesting a free trial, and then we will work with you to provide a discounted custom quote. Can I try the Big-G Stealth Extractor for free? Yes, in fact, to use the Big-G Stealth Extractor, we recommend starting with a 7-day free trial so you can evaluate the right product and pricing tier for your needs.